As children the Sisters of Mercy taught us to bow our head whenever we heard the name of Jesus or said His name ourselves. This pious practice has not been promoted by the "Renewed Church of the Modernists." Children are no longer taught to do this and as they grow into adults and have children of their own, they are unaware of it. Jesus' name is known far and wide, but as a word with which to swear profanely. His Name is blasphemed, He is depicted as a homosexual doing unspeakable things to His Own Body, His Mother's perpetual virginity is disdained and so forth. Our culture is strewn with the garbage of sacrilege. If only souls knew the riches of just uttering the Sweet Name of Jesus with reverence and wonder, and the happiness which that Name brings to souls so disposed. At the same time the nuns were teaching us about reverence for the Name of God, a priest, Fr. Paul O' Sullivan, O.P., was working on a little book, titled, THE WONDERS OF THE HOLY NAME. Catholic Tradition has put this book in e-format for the web, see link in contents above. The name Jesus comes from the Greek Iesous which was derived from the Aramaic, Yeshu. It means "Yaweh is salvation." The name was not unique, even in biblical times, and today it is common in Arabic-speaking East and in Spanish-speaking countries. From apostolic times the name has been treated with the greatest respect, as honor is due the name which represents Our Lord, himself. When, therefore, we say, "Jesus," let us ask God for all we need with absolute confidence of being heard. For this reason, the Church ends her prayer with the words, "through Jesus Christ," which gives the prayer a new and Divine efficacy. Each time we say, "Jesus," we give God infinite joy and glory, for we offer Him all the infinite merits of the Passion and Death of Jesus Christ. St. Paul tells us that Jesus merited the Name Jesus by His Passion and Death. Each time we say "Jesus," let us clearly wish to offer God all the Masses being said all over the world for all our intentions. We thus share in these thousands of Masses. Each time we say "Jesus," we gain indulgences for the Holy Souls in Purgatory, thus relieving and liberating very many of these holy souls from their awful pains. Thus they may be our best friends and pray for us-----they cannot pray for themselves, however. Each time we say "Jesus," it is an act of perfect love, for we offer to God the infinite love of Jesus. This feast is celebrated on the second Sunday after Epiphany [double of the second class]. It is the central feast of all the mysteries of Christ the Redeemer; it unites all the other feasts of the Lord, as a burning glass focuses the rays of the sun in one point, to show what Jesus is to us, what He has done, is doing, and will do for mankind. It originated towards the end of the fifteenth century, and was instituted by the private authority of some bishops in Germany, Scotland, England, Spain, and Belgium. The Office and the Mass composed by Bernardine dei Busti (d. 1500) were approved by Sixtus IV. The feast was officially granted to the Franciscans 25 February, 1530, and spread over a great part of the Church. The Franciscans, Carmelites, and Augustinians kept it on 14 Jan.; the Dominicans 15 Jan. At Salisbury, York, and Durham in England, and at Aberdeen in Scotland it was celebrated 7 Aug., at Liege, 31 Jan., at Compostela and Cambrai, 8 Jan. [Grotefend, "Zeitrechnung", II, 2. 89]. The Carthusians obtained it for the second Sunday after Epiphany about 1643; for that Sunday it was also extended to Spain, and later, 20 Dec., 1721, to the Universal Church. The Office used at present is nearly identical with the Office of Bernardine dei Busti. The hymns "Jesu dulcis memoria," "Jesu Rex admirabilis," "Jesu decus angelicum," usually ascribed to St. Bernard, are fragments of a very extensive "jubilus" or "cursus de aeterna sapientia" of some unknown author in the thirteenth century. For the beautiful sequence "Dulcis Jesus Nazarenus" [Morel, "Hymnen des Mittelalters," 67] of Bernardine dei Busti the Franciscans substituted a prose sequence of modern origin: "Lauda Sion Salvatoris;" they still celebrate the Feast on 14 January. Began at the Council of Lyons, and has been promoted by a number of popes. The Confraternity of the Most Holy Name of God and Jesus is an indulgenced confraternity in the Catholic Church. 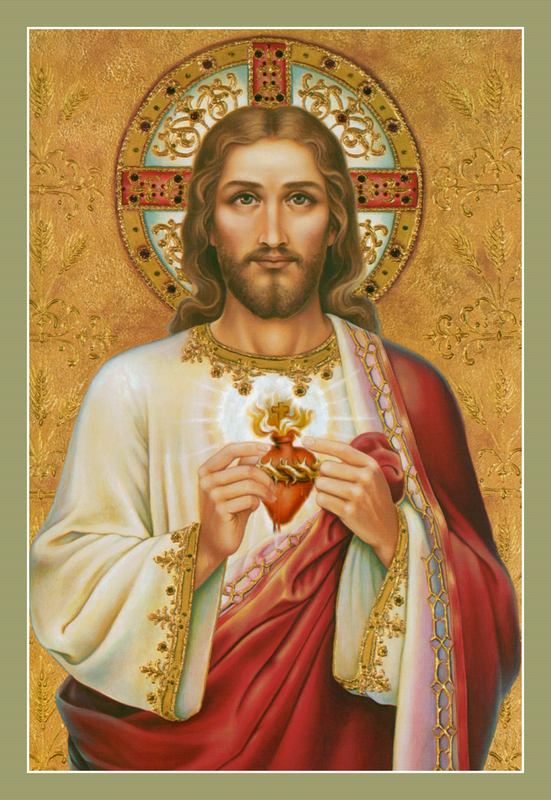 The primary object of the society is to promote due love and reverence for the Holy Name of God and Jesus Christ. The secondary object is to suppress blasphemy, perjury, oaths of any character that are forbidden, profanity, unlawful swearing improper language, and, as far as the members can, to prevent those vices in others [Pius IV, 13 April 1564]. It had its origin in the Council of Lyons, 1274, which prescribed that the faithful should have a special devotion to the Holy Name of Jesus, that reparation might be made for insults offered to it by Albigenses and other blasphemers. The Friars Preachers were preaching everywhere with the Zeal of St. Dominic; it was natural, then, that Gregory X selected the Dominicans to preach the devotion, which he did by a letter to Blessed John of Vercelli, master general of the order, 20 September 1274 [Constit. "Nuper in"]. The master general immediately wrote to all the provincials of the order, expressing the pope's wish, and enjoining upon all the duty of laboring for its fulfillment [Litterae Encyclicae Mag. Gen Ord. Praed., Reichert, 1900]. The brethren gave their best energies in executing the command, preaching everywhere the power and glory of the Holy Name of Jesus; and to give permanency to the devotion excited in the hearts of the people, it was ordained that in every Dominican church an altar of the Holy Name should be erected, and that societies or confraternities under the title and invocation of the Holy Name of Jesus should be established. St. Peter, Martyr (d. 1252); John of Vercelli, a contemporary of St. Dominic; Blessed Ambrose of Siena (d. 1286) are said to have been great propagators of the devotion. In the fourteenth century Blessed Henry Suso (d. 1365) is the most notable apostle of devotion to the Holy Name. The history of the society in the fourteenth and the fifteenth centuries is somewhat obscure, but that it continued to exist is certain from papal Bulls addressed to the Order of St. Dominic. Boniface IX in his Constitution "Hodie" 31 October, 1401, granted indulgences to those visiting the altar of the confraternity in the Dominican monastery at Schusen, Diocese of Werden, Saxony. In 1432 at Lisbon the devotion preached by a retired Dominican bishop, Andrea Diaz, was a means of stopping the ravages of a plague that was then afflicting that city. In gratitude for their deliverance, the people of all classes in Lisbon held, on 1 Jan., 1433, what was probably the first procession in honor of the Holy Name of Jesus. At this period St. Bernardine of Siena, an Italian Franciscan gained great renown as a promoter of the devotion in Italy. In the sixteenth century Emperor Charles V and King Philip II, moved by the prevalence of blasphemy and sacrilege, exhorted and encouraged the Dominicans to spread the devotion and to establish the society throughout their dominions. Among the preachers engaged in this apostolate, the most celebrated was the Spanish Dominican, Didacus of Victoria (d. 1450), who may be properly called the great preacher of the devotion of the Holy Name of God. He founded a confraternity known as the Society of the Holy Name of God, of which the special object was to suppress the horrible profanation of the Divine Name by blasphemers, perjurers, and by men in their ordinary conversation, and to this end he drew up a rule and constitution for its government. His confraternity was approved by Pope Pius IV 13 April, 1564, who richly endowed it with indulgences, commanded all ecclesiastical authorities to favor it with all their power, and, in a special letter, recommended it to the laity (Bullarium Ord. Praed., tom. I, v). Later, this confraternity was merged into the Society of the Holy Name of Jesus. Thereafter the society was called by both titles. It also bore the title of "Confraternity against Oaths". Following the example of Pius IV, the popes of the sixteenth and seventeenth centuries, notably Innocent XI, made the society an object of special solicitude, encouraging its promotion, granting indulgences, and regulating its organization. St. Pius V, in the Motu Proprio "Decet Romanum", 21 June, 1571, absolutely restricted the canonical erection of the society to the Dominican order. Letters patent from the master general of the Dominicans are required for the canonical establishment of the society (for the United States these letters are issued through the bureau of the Holy Name Society, New York). In missionary countries special provision is made for the establishment of the society. The acts of the general chapters of the order held since 1571 contain numerous regulations and admonitions insisting upon zeal in propagating the confraternity. Great encouragement to the development of the society was given at the close of the nineteenth century by Pope Leo XIII, who decreed through the Congregation of Indulgences, 20 May, 1896, that the bishops may dispense from the Clementine decree "Quaecumque," requiring that there should be only one confraternity in a town or city. Before this the society had existed in many churches of various cities of the United States, by virtue of the dispensations obtained from Rome. Since then branches of the society have multiplied very rapidly and in several dioceses; following the example set in the Archdiocese of New York, 21 May, 1882, they have been formed into diocesan unions under a director general appointed by the ordinary. Being thus united, the men of the society in the United States [they number about 500,000] are able to accomplish great good by public yearly processions of many thousands professing reverence for the Name of Jesus Christ, and abhorrence of blasphemy, profanity, and immorality. They are required to receive Holy Communion in a body at least once every three months; in most places the rule prescribes Communion on the second Sunday of every month, when they may gain plenary and partial indulgences granted by Gregory XIII. A complete list of indulgences, all of which may be applied to the souls in purgatory, is contained in the "Pocket Manual of the Holy Name Society" [New edition, New York, 1909], by the Dominican, Father McKenna, who for many years has been recognized as the apostle of the Holy Name in the United States. In 1907 the monthly publication of "The Holy Name Journal" [New York] was begun by the Dominican Fathers. These are external links: CT verified that they are viable as of February 2009.